Another project, waiting to happen. So after the electrician left and my motivation returned, I enlisted some help from each of the kids to keep the mattress rolled up, while I experimented with the Dry-Dek. YES, it’s really simple and it really goes together pretty quickly. I did do some simple cuts of the product with table scissors and it cut really well, really fast. There was no problems sticking the pieces together either, they snapped right into place. If an idiot like me to knock it out in less than 20 minutes with little help,,,you can do it too. 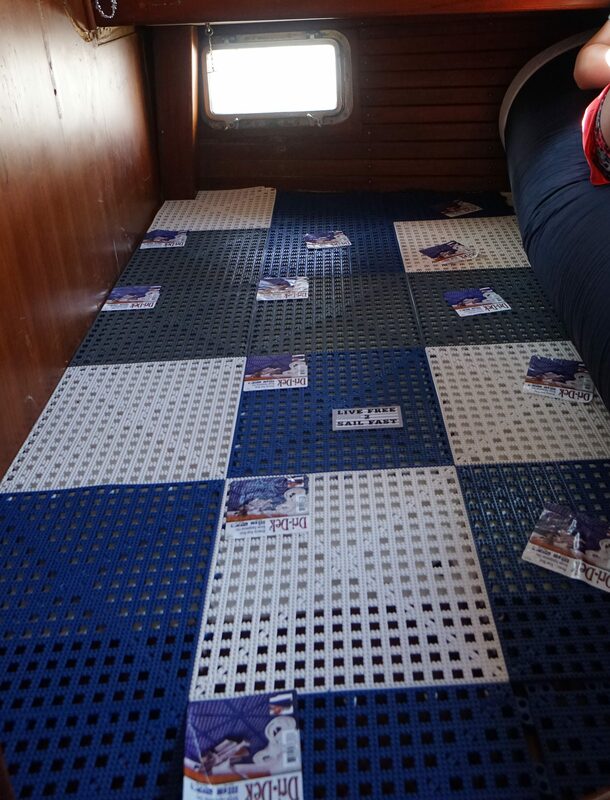 Aside from putting it under mattresses, I recommend the product for flat surfaces where you need traction or inside wet lockers and such. 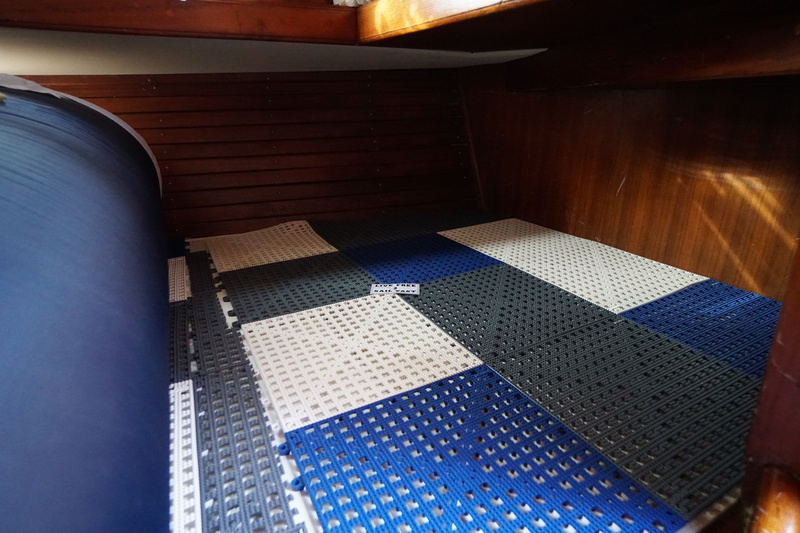 It seems to be an easy product to use, but I’ll report back on it in several months after we get through August on the boat and see if there’s any relief from the heat with these tiles below the mattress. 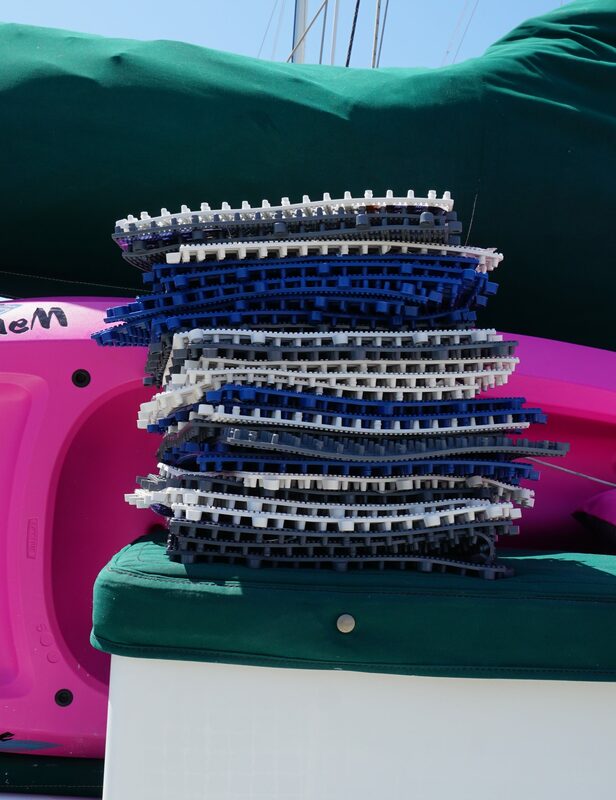 I hope you notice a difference with the Dri-dek, we definitely do! Thanks for the shout out. This smaller blog and website thing works better for us smaller sailing and cruising bloggers if we support and help promote each other. I’ve added you guys to my links and will continue to read your posts.